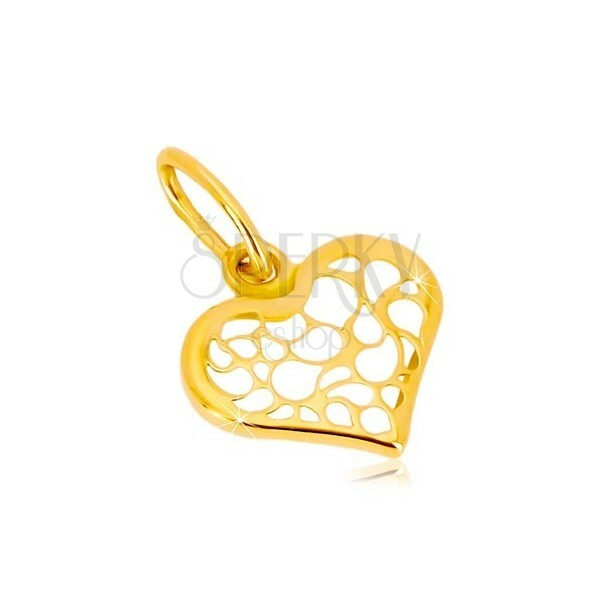 Yellow 585 gold pendant - symmetric heart with decorative notches with a shape of small tears, glossy surface. By buying this product you can collect up to 33 points as a voucher of 6,60 €. Your reward points. 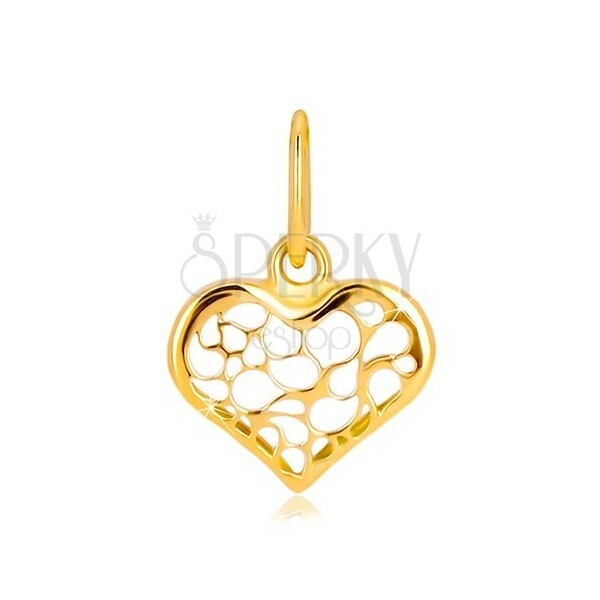 Yellow 14K gold pendant has symmetric shape of heart. Centre of the heart is ornamentally carved into the shape of tiny drops. Pendant surface is smooth and it has high gloss. 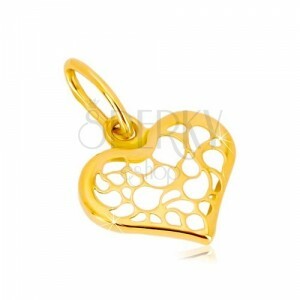 Pendant clasp is thin and it has oval shape.